The 13,092 TEU containership Maersk Elba arrived at Haifa Port's Carmel Terminal, becoming the largest ship ever to dock in Israel. 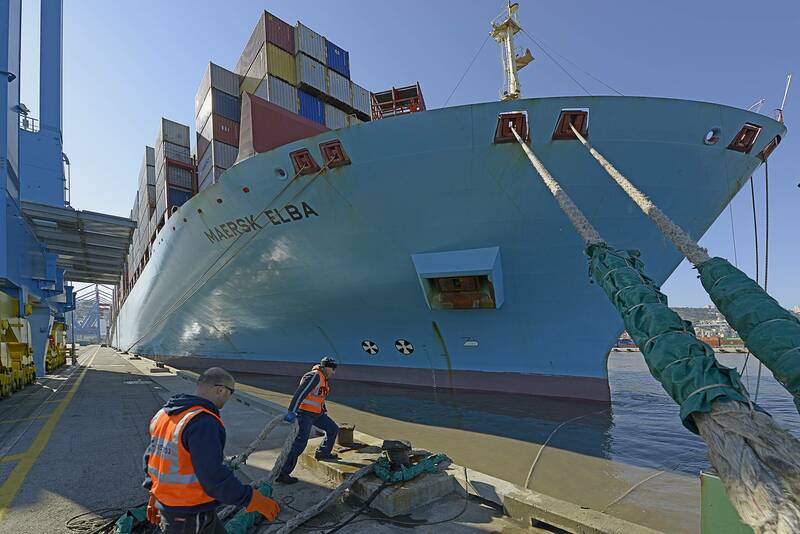 Maersk Elba entered the Carmel Terminal Thursday, and was operated on by four STS cranes with an average productivity of 136 containers per ship hour. This ship is part of the weekly service line operated by the 2M Alliance of Maersk and MSC linking the ports of South Korea, China and Singapore to Haifa Port, and from there continues to the Adriatic ports. A video of Maersk Elba entering Haifa Port is available here. 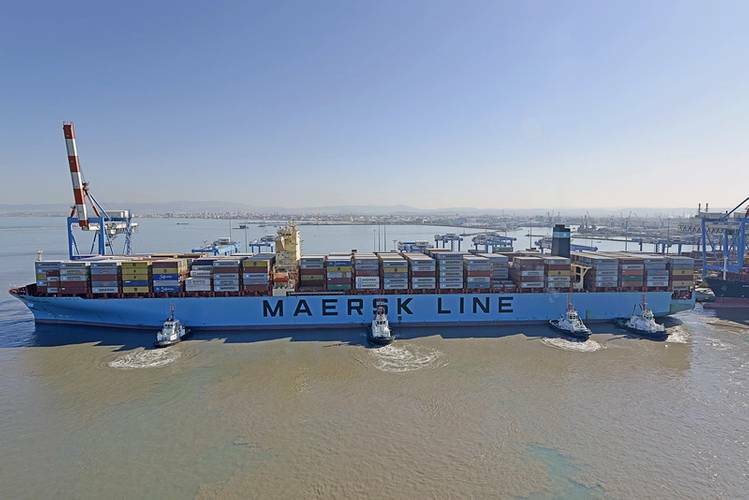 Maersk Elba’s visit formally inducted the Israeli port into a select group of ports that handle high-capacity 14,000 TEU mega ships. According to Haifa Port, it currently stands as the only Israeli port that has the cranes, water depth and tugs necessary to service these massive ships. In order to prepare for the arrival of the Maersk Elba and similar subsequent vessels, five new cranes were built at the Carmel Terminal, including two STS cranes from KOCKS CRANES with arms suitable for transporting 20 + 1 lines of containers across the ship. These were constructed on the dock and are now fully operational, joining six other STS cranes. Furthermore, three new KoneCranes RMG's cranes have been added at the storage area of the terminal, where they complement an existing 15-crane array. Israeli Transport Minister Israel Katz officially unveiled the new cranes a few weeks ago, just in time for wide beam ships to begin calling at the port. Last month, the Israel Ports Company also deepened the water by the Carmel Terminal so that such ships can reach their maximum draft, or very close to it. In the last two years, Haifa Port has also acquired two new tugs, both of which can achieve bollard pull of 70 tons. The second of these, the Elad, arrived a few months ago. These measures, in addition to adopting the advanced Navis TOS system, completed Haifa Port's preparations. It is now the only Israeli port suitable for 14,000 TEU ships and is likely to remain so in the near future. It should be noted that the next generation of ships, in the order of 18,000 TEU and above, will not be able to call in Israel during the next few years. Therefore, Haifa's 14,000 TEU can be termed "Isra-max", in the parlance of "Panamax" ships.